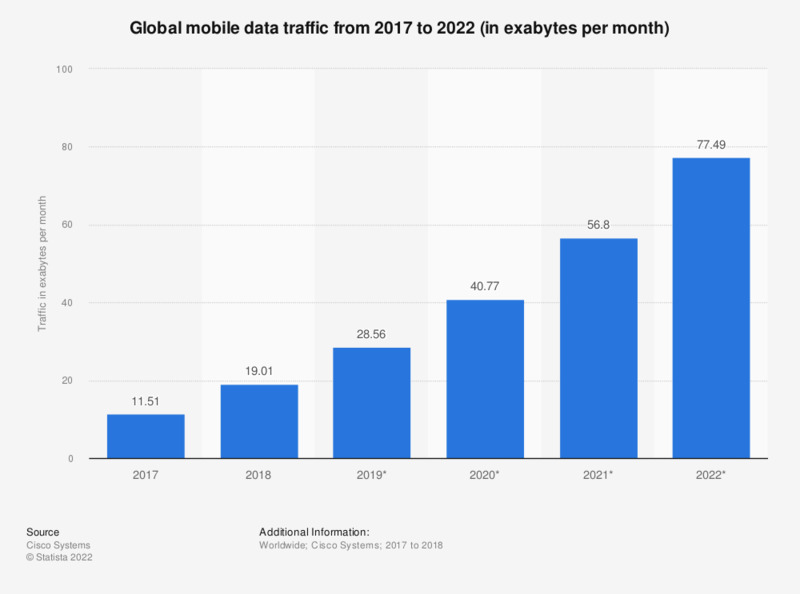 This statistic gives information on the global mobile data traffic from 2017 to 2022. In 2018, global mobile data traffic amounted to 19.01 exabytes per month. In 2022, mobile data traffic worldwide is expected to reach 77.5 exabytes per month at a compound annual growth rate of 46 percent.